PREORDER YOUR COPY TODAY: http://bit.ly/allaboutinventing and receive a FREE EBOOK: FIVE STEPS TO CREATING AND MAINTAINING A STRONG BRAND! For people who need help navigating the patent office, All About Inventing Everything You Need To Know About Patents From a Former USPTO Patent Examiner & Patent Attorney is invaluable. 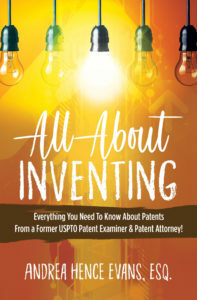 Andrea Hence Evans, former patent examiner at the USPTO and current patent attorney, has written this book to explain different types of patents, patent prosecution, how to avoid and correct rejections, and more! 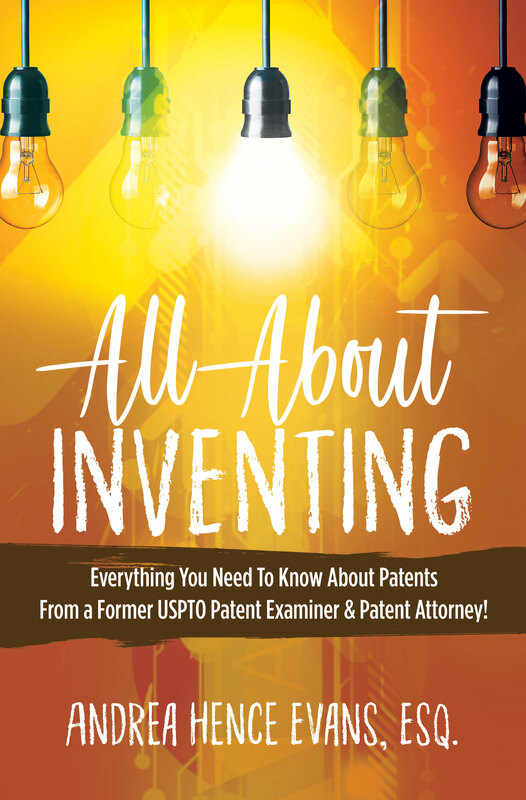 This book will help you understand your options to protect your invention and help you navigate your patent application through the USPTO.